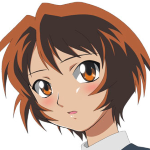 Takako is a girl in Seiji's class as well as the class representative. She has a stern personality and as such considers Seiji a nuisance and disruption to an orderly school life. Takako's philosophy is to largely ignore Seiji, robbing him of what she perceives as attention-seeking behavior on his part, but a series of incidents conspire to get her more involved with him than she anticipates.